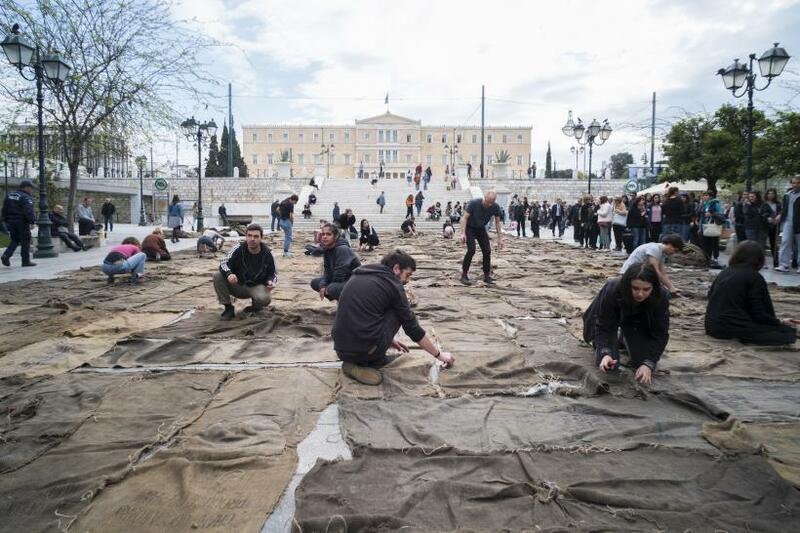 When in October 2014 Adam Szymczyk, Documenta 14’s Artistic Director, announced that the world-renowned symposium would be shared between two cities, Kassel and Athens, the bold move generated intrigue. His explanation for this decision laid out his concern for a didactic consideration of the divisions and tensions between northern and southern Europe. The title ‘Learning from Athens’ promised to address some of the current social and political issues facing Europe today by questioning its foundations: colonialism, patriarchy, gender-normativity and capitalism amongst others. The title raised suspicion. Who is invited to learn from Athens? 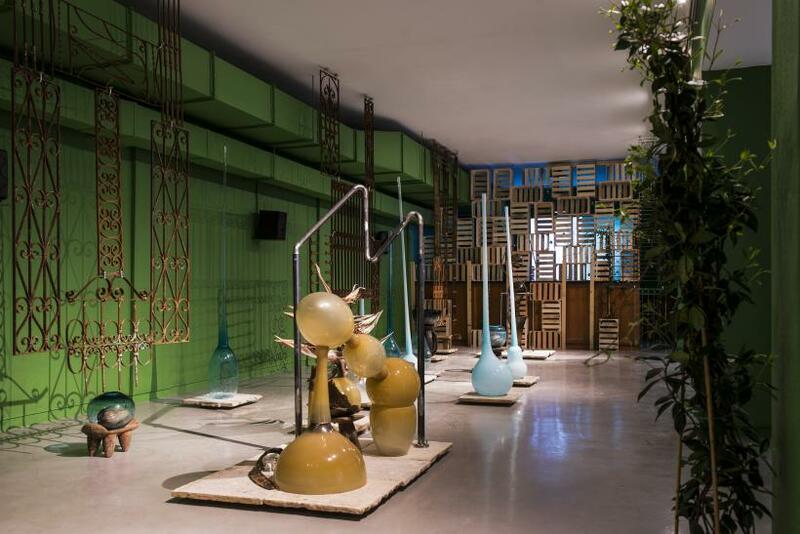 Many feared that the exhibition tried to glamorise the ‘Greek crisis’ and capitalise on what is a very complex and difficult social and economic situation. What’s in it for Athens? These concerns were raised again at the opening press conference in April. Szymczyk discussed ‘unlearning’ as a means to abandon preconceptions in order to become a worthy political subject and to defy power relations. 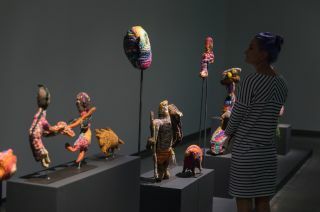 The Associate Curator Marina Fokidis explained that the exhibition aimed to pose questions, not present answers, and to offer a platform for discussion. Monika Szewczyk suggested challenging traditional tourism as consumption and called for the active participation of the visitors as an alternative. In short, Documenta 14 was presented as a social experiment. 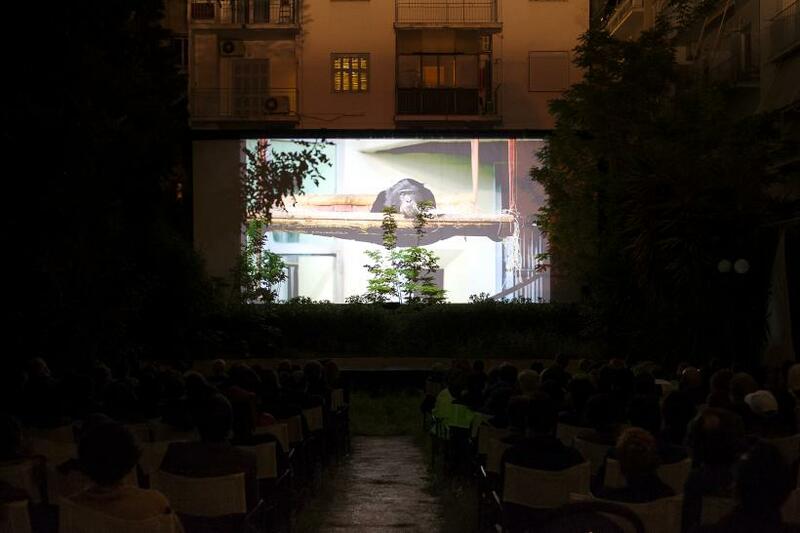 On a pragmatic level, the project’s first iteration in the Greek capital comprises of some 160 artists exhibited in over forty venues. It is a behemoth to tackle in a few days. Upon first glance, the list of participating artists includes few celebrity names. However, the number of artists from Islamic countries, indigenous artists, LGBTQ artists, and artists belonging to other minority groups suggests a conscious decision to emphasise voices from marginalized communities. Many pieces are worthy of discussion. 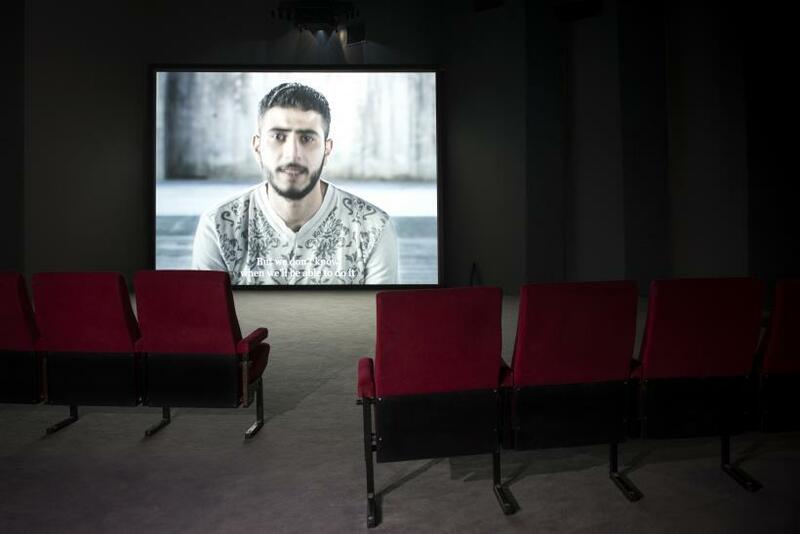 Bouchra Khalili’s The Tempest Society, presented in the Athens School of Fine Arts, is a poignant hour-long video that positions Athenians and Syrian migrants on a theatre stage, allowing them to tell their stories and calling for equality and solidarity. 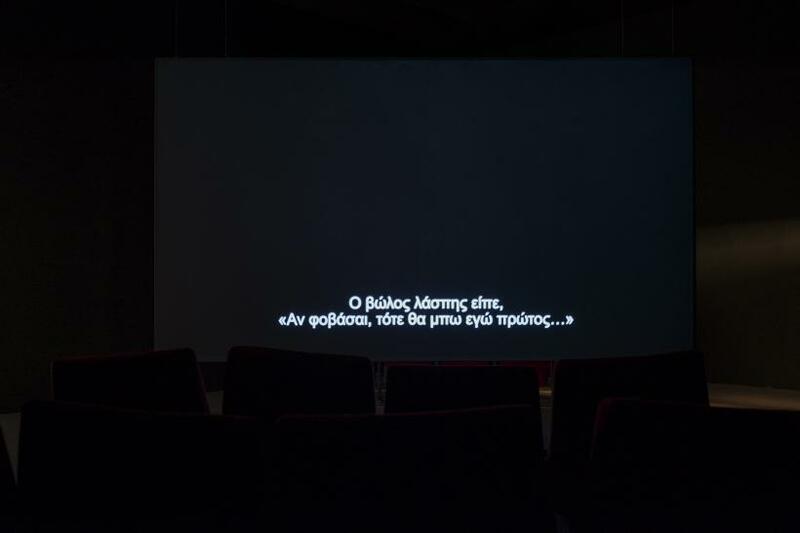 In the Athens Conservatoire, Susan Hill’s The Last Silent Movie is a patchwork of found sound materials that presents 25 disappearing or extinguished languages. 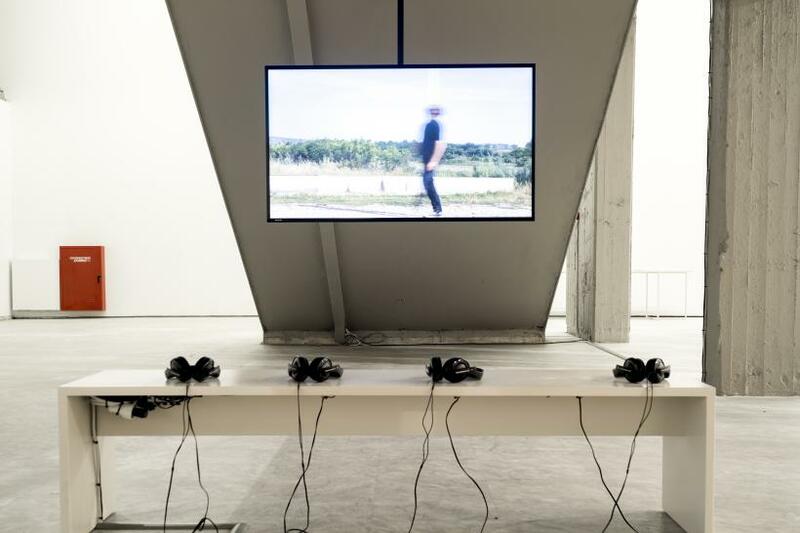 Next door, sorrowful vocals in Emeka Ogboh’s multichannel sound installation The Way Earthly Things Are Going resonate in the unfinished concrete amphitheatre, dimly lit by an LED-thread displaying real time Stock Exchange Indexes. On another floor, Hiwa K’s video piece Preimage (Blind as The Mother Tongue) recounts the artist’s own journey by foot in 1996, when he fled to Europe from Iraq where he was persecuted as a Kurdish Iraqi. At one point, he balances a sculpture made of mirrors on his nose as he retraces his steps some twenty years later. His story is one of persecution, of darkness, of disorientation, of fear and of the human need to belong. 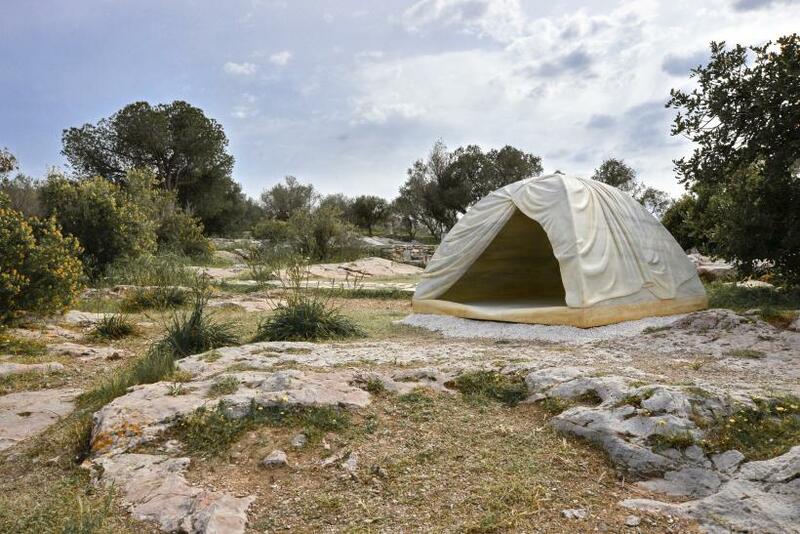 On a scenic walk on Filopappou Hill, visitors will encounter Rebecca Belmore’s marble tent Biinjiya’iing Onji (From Inside), a permanent shelter with a superb view on the Acropolis. 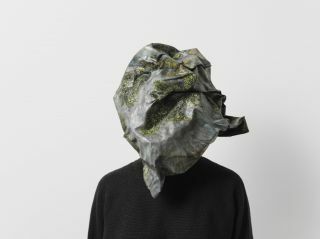 Amplified throughout the city, William L. Pope’s Whispering Campaign is composed of many sound pieces dispersed in multiple locations. They are a delight to come across. 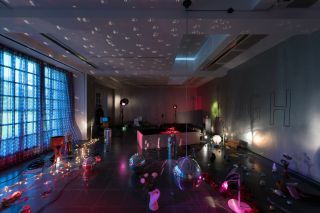 However, the open-endedness that seems to have guided the curatorial construction of the project is not without problems. The project poses too many questions, tries to break down too many hegemonies, goes in too many directions and is likely to leave one feeling baffled and exhausted. Moreover, there is potential tragic irony in a project such as Documenta 14, wherein contemporary art extracts from real world injustices in order to take centre stage, legitimising a sort of exploitation through the prism of relational aesthetics and the tyranny of indeterminacy. Esteemed minds like Suhail Malik and Tirdad Zolghadr have heavily critiqued indeterminacy and the assumption that through alleged socially engaged praxis somehow one exists on the other side of power. 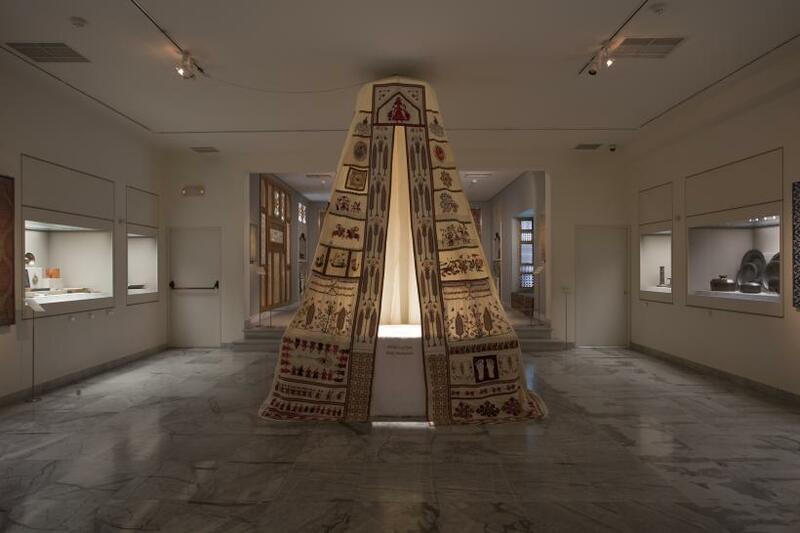 Documenta continues to be one of the most influential events in contemporary art and its impact permeates the rest of the system. It has repercussions on the art market and will have an effect on what museums across the world show. If anything, Documenta is very much a power structure of its own. The ambitious claims by Adam Szymczyk and his team are arduous in their scope, not because the claims staked are not worthy of consideration and in need of desperate and drastic action, but because they are presented without any substantial framework. Despite this, Documenta 14 presents a significant number of standout works without falling into the trap of spectacle. However, the same questions of power dynamics resurface again and the result is a closed circuit of criticism more than the transgressive social experiment the curators aimed to exert. Laura Lima : I hope this finds you well.